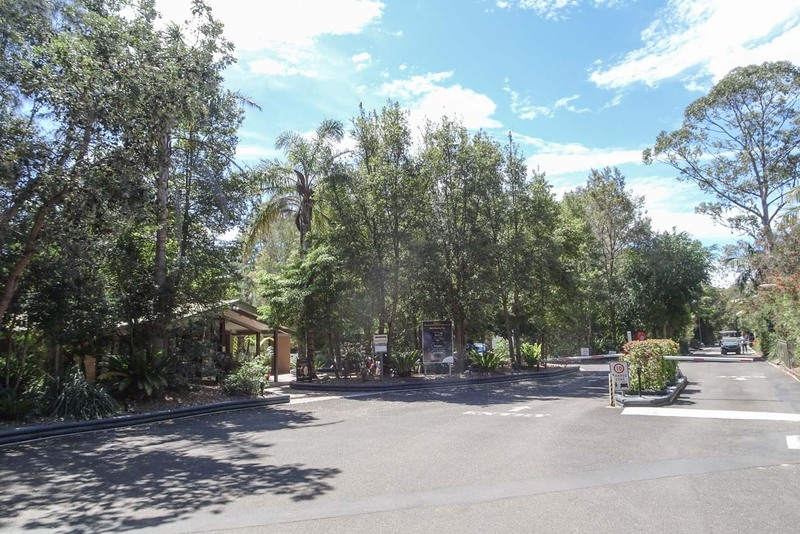 While staying at the BIG4 South Durras Holiday Park we headed along the road to take a look at Murramarang Beachfront Nature Resort , and have coffee at Skippy's Takeaway by the pool. The Takeaway, Bistro and Bar at the Murramarang Resort are open to the public as well as guests of the park. South Durras also has a general store for grocery items. Murramarang Beachfront Nature Resort is a large resort with a number of cabins on the beachfront overlooking the water. A quiet little beach which appeared to be safe for swimming. Some of the caravan sites are very large with plenty of space – some ensuite and some grass or sand. A group of school children were camping at the resort with coloured tents and wet suits drying all over the place. The park offers lots of shade and some nice gardens with Kangaroos lying around in the shade. It has a very large pool area with water play park for the little ones. Plenty of places to sit and a number of umbrellas for shade. Lovely spot. have you been to NRMA Murramarang Beachfront Nature Resort? Explore NRMA Murramarang Beachfront Nature Resort - South Durras with RvTrips and find out where to stay, what to do and what to see. Helping caravan, motorhome and camper owners have a great holiday.